CAUTION means the product is slightly toxic. WARNING means the product is moderately toxic. DANGER means the product is highly toxic by at least one route of exposure. It may be corrosive, causing irreversible damage to the skin and eyes. It may be highly toxic if eaten, absorbed through the skin, or inhaled. The word “POISON” must also be included on the front panel of the products in this category. Keep children and pets away from areas being treated. Make sure containers are safely out of reach while they are being applied. 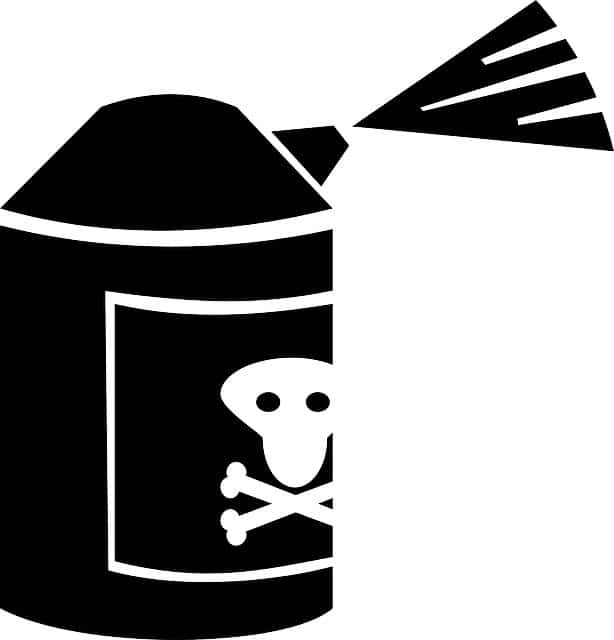 Close the pesticide containers immediately after their use to avoid accidental spills. Never mix or store pesticides in food or drink containers. Store all pesticides safely out of reach of children, in a locked cabinet or garden shed. Use protective gloves and clothing when handling pesticides. Wash hands and all body parts exposed to the pesticide with soap and water after each use. Pesticide labels have good information about using the product the right way. Follow these instructions to minimize the risks and maximize the benefits of your product. Always use the right amount of pesticide for your job and do not be tempted to over apply. Applying more than the label states can harm people, pets, or the environment, and it may even be less effective at controlling the pest.